Talanoa uses the power of creative storytelling to promote fair and equal treatment, challenge negative stereotypes, and help protect the rights of gender and sexual minorities in the Pacific region. In the Pacific, challenges are overcome, conflicts resolved, and reconciliation reached through talanoa, a method of engagement through the respectful sharing of truths in communal dialogue. The Talanoa Trans Pacific Equality Project adapts this honored tradition to contemporary times by using film and video to open eyes, hearts and minds, to fascinate, inspire and raise awareness, and to incite compassion, discussion and action to make the Pacific a place where every person can lead a safe and dignified life. Indigenous understandings of gender and sexuality have historically lent to inclusive societies in the Pacific, but the legacy of colonialism and Christian missionizing have created deep challenges. 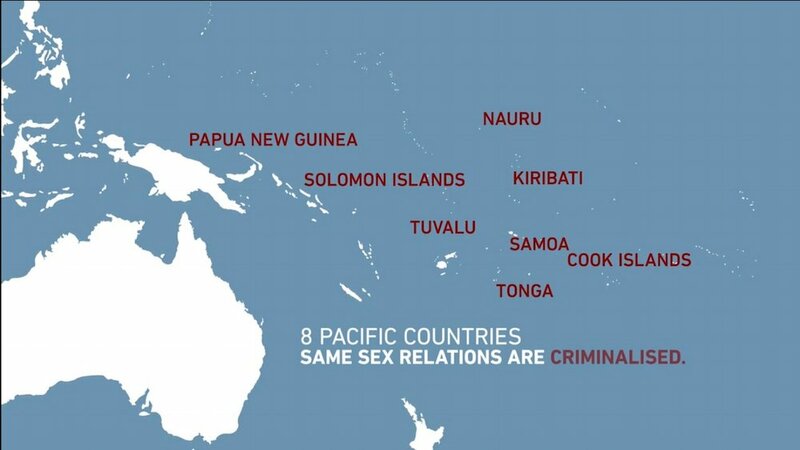 In eight Pacific countries, colonial-era laws that criminalize the lives of LGBTI people are still on the books. A recent influx of fundamentalist religious influences from abroad is injecting inflammatory Western-style transphobia and homophobia into the mix. Talanoa fosters dialogue and understanding through community and online gathering spaces built around screenings of documentaries and trigger videos that give voice to LGBTI Pacific Islander stories that are rarely seen in mainstream media. Our activities complement on-the-ground organizing and advocacy programs that bring people together across differences in faith, politics, gender and sexual identity to expand awareness and make communities that are safe, respectful, and inclusive. We are working with a spectrum of partner organizations to hold a series of community screenings across the Pacific in 2018, focusing on the eight nations that still have anti-LGBTI law. We will also be participating in international governance and decision-making meetings, including the Commonwealth Heads of Government Meeting in London in April 2018. Please contact us if you or your organization are interested in participating in Talanoa.